Forget Cyber Monday…it’s Stieber Monday! For a limited time I’m offering gorgeous hand-signed ceramic tile coaster sets! 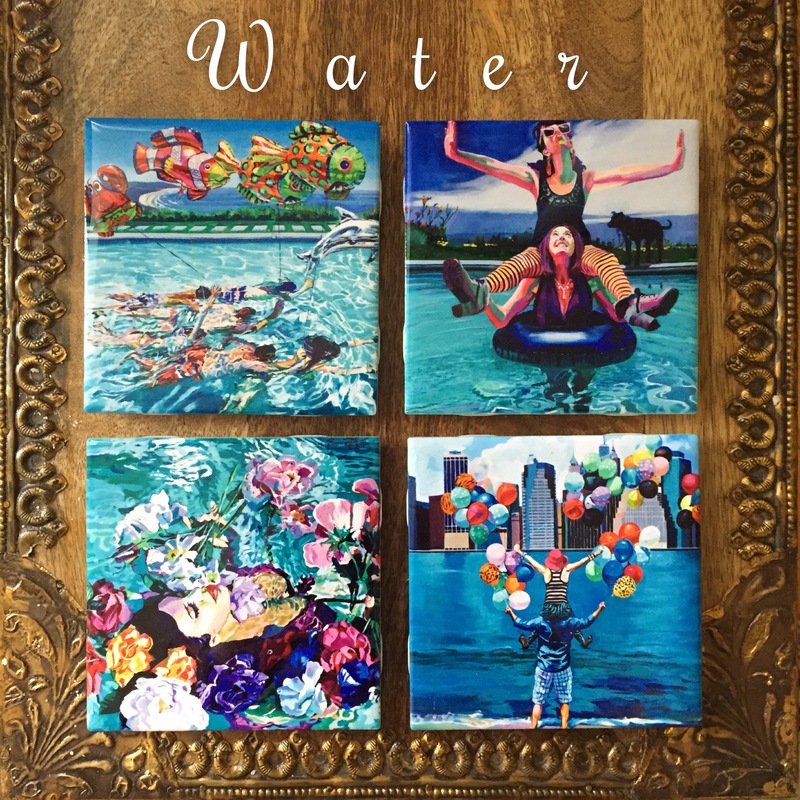 Choose from the series “Water”, “Faces”, or “Electric Rain Project”. Free Shipping!! Please Join me this Saturday, December 12th for TWO art shows! 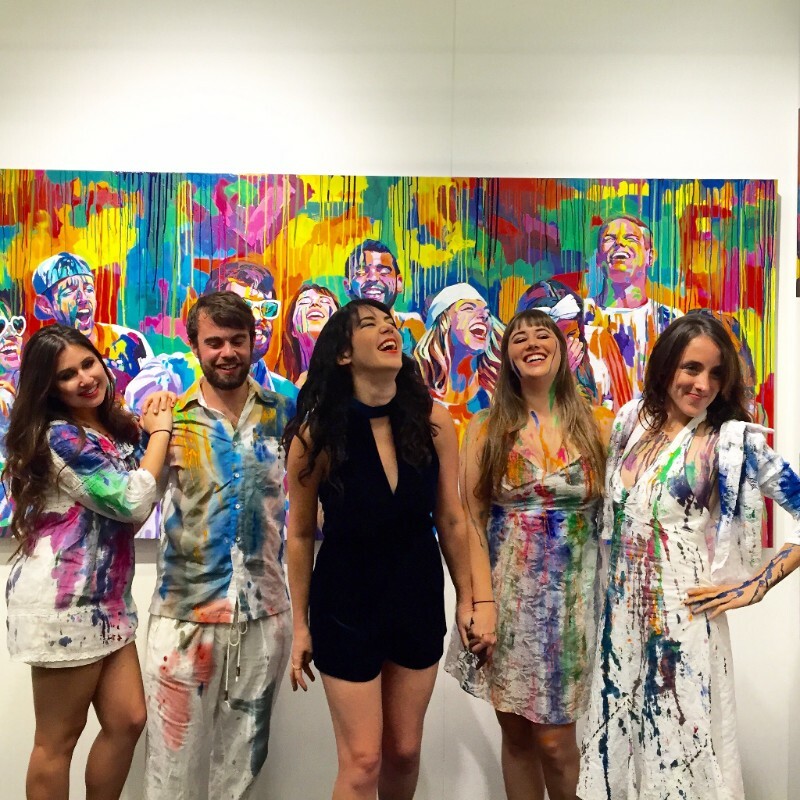 From 5pm – 7pm join me at Art on 30th, 4434 30th Street, for the Big Ben Art Show and open studios. 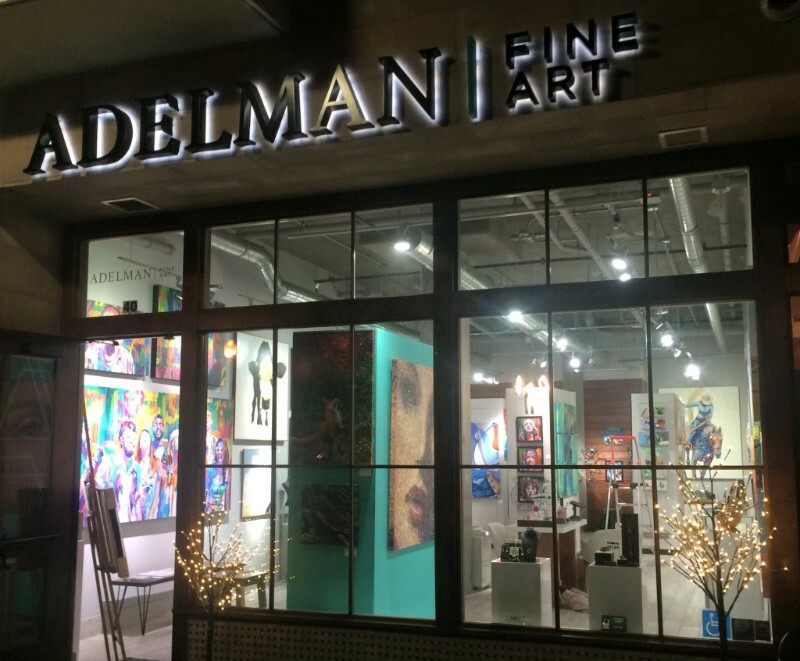 From 7pm -9pm join me at Adelman Fine Art, 1980 Kettner Blvd, for their Holiday Art Show! Art on 30th Studios is hosting their annual “Big Ben” art show, featuring amazing deals on artwork, many under $500! 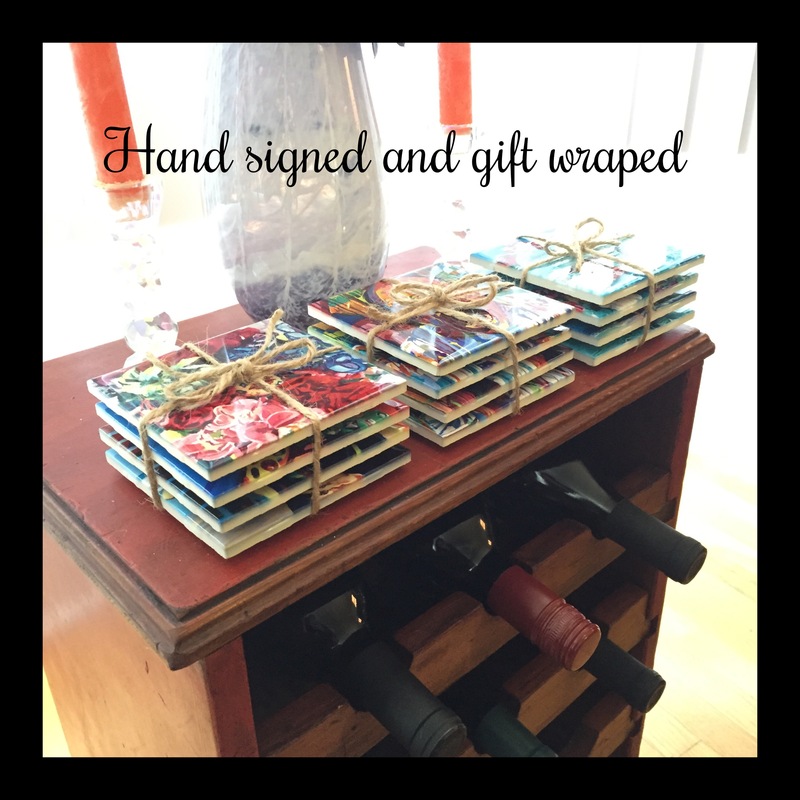 Drop by for wine, appetizers, and sweet deals on gifts and artwork! My personal art studio will be decked out with new (and affordable) paintings, and you can also pick up my coaster sets in person at the show! The “Electric Rain Project” installation at ArtSD Contemporary art fair was a huge hit! Thank you so much to those who attended, supported, and enjoyed the show. 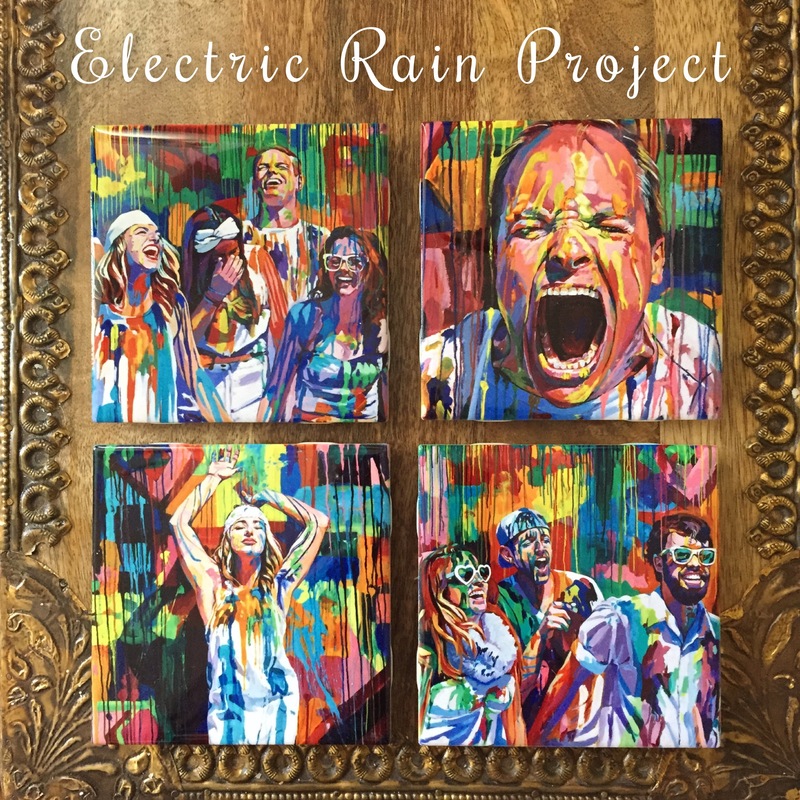 Many people at the show ordered custom paintings in the “Electric Rain Project” style! 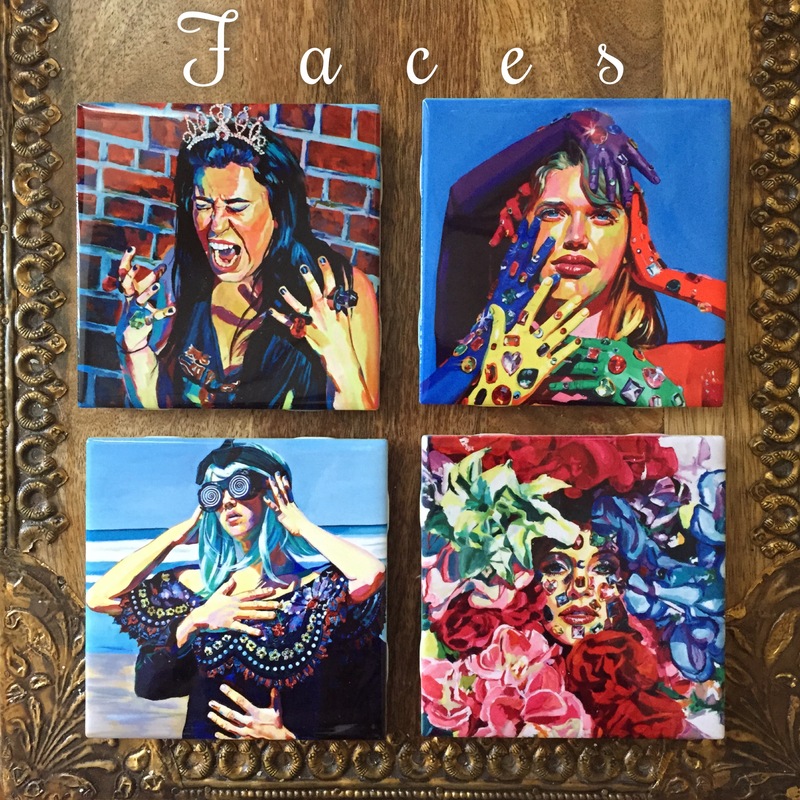 If you’re interested in a rad portrait of you or a loved one in that wild color world please contact me! I am so filled with gratitude for your support! Thank you for helping me to live my passion. Wishing you happy holidays! For more regular updates and in-progress pics, please follow below.